The battle against software piracy has been ongoing for years and shows no sign of letting up. As the stakes continue to rise, the creative sector of the UK economy continues to need protection. Much has been done to raise the profile of intellectual property (IP) protection. Along with some of the large software vendors such as Microsoft, industry lobby groups such as the Business Software Alliance (BSA) and the Federation Against Software Theft (FAST) continue to do their best to catch those who break the law, working with government to take further steps to improve the situation for those dependent on their income from the fruits of their IP. In recent weeks, there have been indications that more steps will be taken to highlight the issue of piracy. Internet service providers (ISPs) are likely to start sending alert letters to those users who continue to illegally download content such as software, music and films. But at the same time, research from FAST has highlighted a significant number of stubborn next-generation users in the workplace who refuse to stop illegal downloads and have no fear of letters or fines. The FAST findings revealed that although a fine was the best way to deter from piracy those who were worried about being caught, a quarter of respondents did not seem to care and revealed that nothing would put them off breaking the law. Hilton recently staged an event at Westminster where the efforts being made by the government to create a more positive environment for IP were discussed and the lobby group was able to introduce supportive speakers who were keen to stress how seriously the current government took the situation. Among those speaking at the event was Mike Weatherley, MP for Hove and Portslade and IP advisor to David Cameron, who told the assembled audience that much had been done but efforts must continue. When presented with the latest FAST findings, Weatherley responded: “Over the past few years the UK government has adopted a dual approach to IP protection. On the one hand, we have worked with the IP industries to help educate the public as to the consequences of IP theft. Through this we have seen a concerted effort from not only the software vendors but music and film companies as well, making their business models attractive to users. “The alternative approach of a beefed-up enforcement regime is also playing a powerful role, as these research findings seem to indicate. Consumer behaviour is beginning to change, as attitudes, accessibility and affordability all come into play. But we have a long way to go, as there appears to be huge resistance in a large section of society,” he added. For now, it seems, revenue will continue to be lost to illegal downloads and under-licensing, which means those in the industry trying to safeguard revenue face a difficult situation to keep working with. 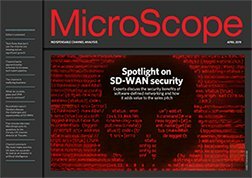 Jeff Williams, global account management and channel partner management at SafeNet, told MicroScope software piracy is an ever-increasing problem because it is widespread, difficult to trace and even harder to prevent and negate. It’s also facilitated by the abundance of reverse-engineering information now found online, providing easily available tools and knowledge to anyone who wants to find it. There are some things that can be done to protect software, but the main advice seems to be one of constant vigilance, with software producers working within a larger ecosystem to try to make sure they can keep the latest threats to their intellectual property at bay. “It’s crucial that software vendors work with the licensing vendor and/or a hardware protection manufacturer to constantly update and improve the level of security. Simply incorporating innovative protection and security measures as part of the product lifecycle can greatly contribute to being steps ahead of potential threats,” said Williams. “Ten years ago, licensing tended to be focused on controlling the number of users and eliminating piracy. That’s still the case, and software suppliers will always want to protect their IP, but there are many more elements to consider now. The market has shifted from a sole focus on removing piracy, towards a greater focus on ‘software monetisation’. This still encompasses ‘control’, but also sees vendors placing equal (and sometimes more) importance on how their products and services are packaged, how they are managed and how their customers are using them. By focusing on what they can actually control, software vendors can boost revenues the right way – by enabling customers to license their software the way they want,” he added. 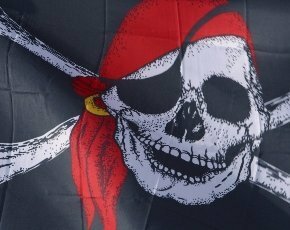 With the industry continuing to do its best to change legislation, increase awareness and use technology to protect IP, the battle against the pirates continues. As the FAST research indicated so clearly, the software world is nowhere near being able to rest on its laurels. Resellers and ISVs will still have to beat the drum to protect those who dream up the applications we all use on a daily basis.